We understand coilovers aren't for everyone. With lowering springs you get an aggressive stance and improved handling without worrying about all the tinkering (or breaking the bank). 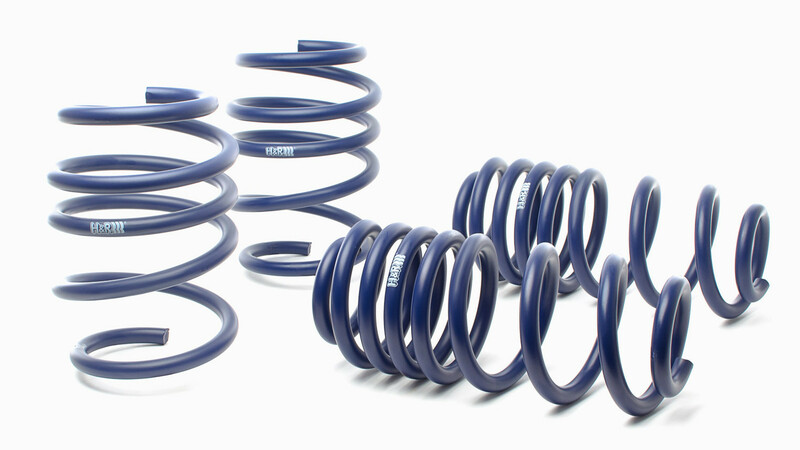 H&R Sport Lowering Springs with their German quality and performance are the perfect addition to your BMW. Get rid of the factory fender gap and give your 5 Series a sleek aggressive look. Lowering springs are low cost and require no tinkering, simply install and start driving. H&R's expert engineering ensures that you get improved handling without compromising ride quality for you and your passengers. Lowering is, more often than not, one of the first things anyone does to modify their car. Lowering springs are one of the most affordable and cost efficient modifications you can find. They're available for almost every vehicle and make it easy to transform the look and feel of your car. 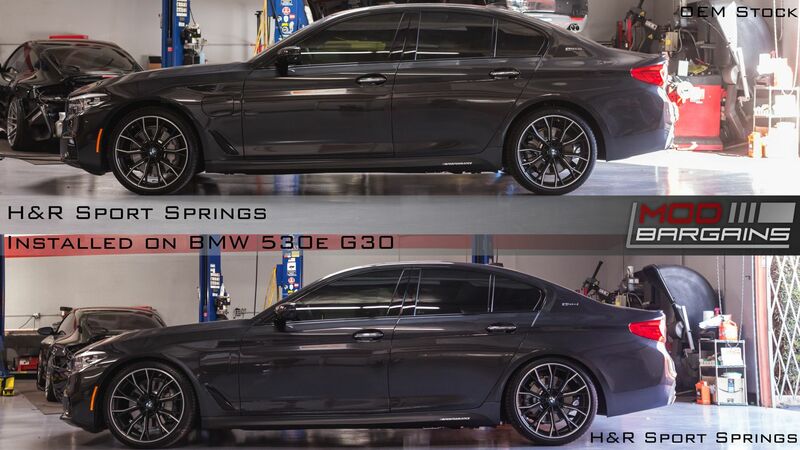 The H&R Sport Lowering Springs are the perfect choice if you're looking to lower your 2017-2018 BMW 5-Series. H&R springs are engineered and manufactured in Germany. What better to compliment your German vehicle than more German engineering? With the H&R Sport Spring you can get rid of the ugly wheel gap that disrupts your car's smooth body lines. With a lower center of gravity you'll reduce body roll and improve handling. With H&R engineering you get peace of mind that you're buying a high quality product you can trust.